Extremely durable construction - Stainless and galvanized construction offers exceptional corrosion resistance and durability for longer service life. 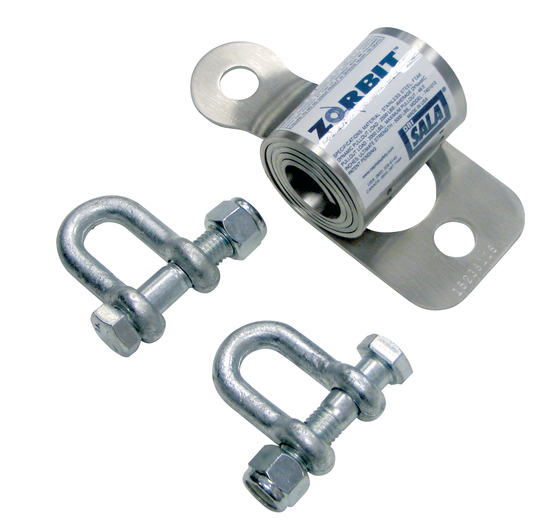 Mounting kit includes 3 shackles and fasteners - Heavy duty galvanized anchoring hardware included for fast and easy installation and use. Lifeline hardware kit includes thimbles, cable clips, wedge grip and O-rings - Complete with necessary hardware and simple wedge grip termination device to secure the horizontal lifeline for ease of installation.